Today’s windows can hold a tremendous amount of information and beautifully produced graphics. But for some reason, many businesses fail to take full advantage of their window signs. 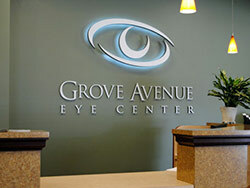 In fact, custom designed and fabricated signage from Dave’s Signs will attract attention in several different ways. When someone walks by your business, you have as little as ten seconds to get their attention. If not, they may walk right by This time is cut in half when you try to capture the attention of drivers. So what does this mean? It means you should have window signs that have been specifically designed to grab attention. At Dave’s Signs, our design experts are there to help you choose the right sizes and colors for your business. Some signs may appear simple, but in reality they are totally unique. If you look at the window signs we did for Ventura County Coast, you’ll see what we mean. The signage includes the words” Ventura County Coast” with a logo to the left of the words. This basic layout has been used thousands of times. At first glance it seems simple, but a great deal of work has gone into the design. An example is the pyramid. It’s four points actually represent the four communities of Ventura County: Oxnard, Camarillo, Ventura and Port Hueneme. This is graphic window signage at its finest. The old adage “a picture is worth a 1000 words” represents the power of simple graphics. However, when you use a professional graphic designer you enjoy the power of graphics, fonts and word placement with the ability to attract, invite and impress, all at the same time. If you would like to see what Dave’s Signs can do for your windows, call us at (805) 641-1387 today.